French artist R-Wan steps back into the ring, as he returns with his forthcoming & highly anticpated new cut ‘Holy Drums’. Revered French artist R-Wan steps back into the ring, as he returns following the collaboration with Big Ali x Busta Rhymes on ‘Bottles Up’ – which secured a host of global love, including David Guetta radio support. Now presenting ‘Holy Drums’ – an upfront & uncompromising future club & festival weapon, R-Wan continues to underline his position as a true trailblazer in the industry & with audible precision. From tracks such as ‘What The F*ck’ ft. Fatman Scoop & ‘Turnt Up’ ft. Snoop Dogg, the Frenchman’s drive to push musical boundaries, along with the evolution of his signature sound, is further testament to this. 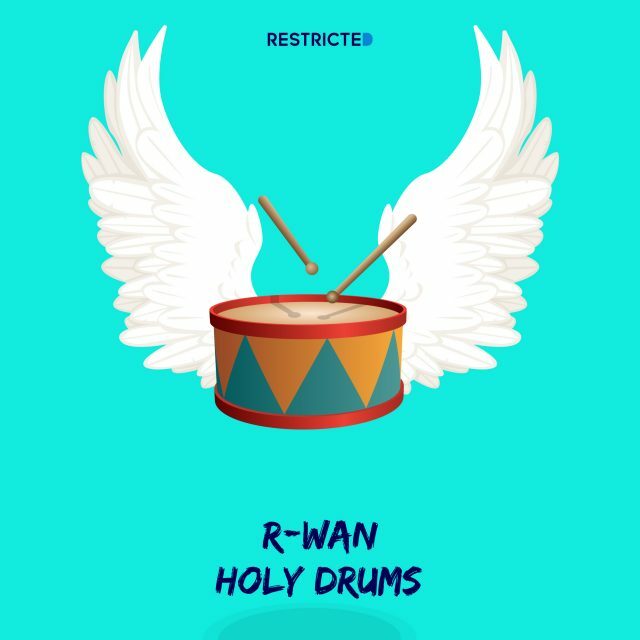 R-Wan‘s beat goes firmly on, as ‘Holy Drums’ drops & the cut looks set to rock a multitude of clubs, along with dominating global dance floors.